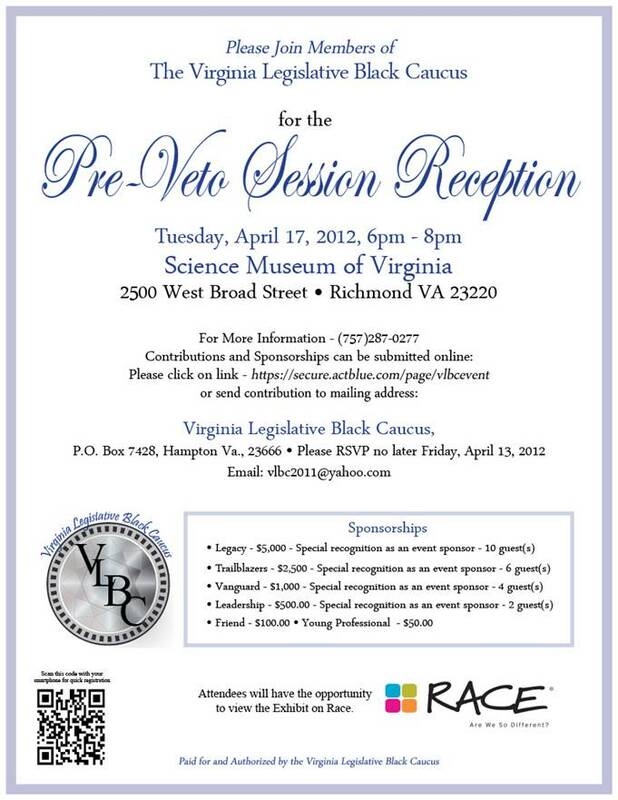 The Virginia Legislative Black Caucus is holding a pre-veto session reception next Tuesday, April 17. The event will take place from 6pm to 8pm at the Science Museum. RSVP by this Friday, April 13.